Home People Picker SharePoint SharePoint 2013 People Picker Browse Button Missing? SharePoint 2013 People Picker Browse Button Missing? With massive changes from SharePoint 2010 to SharePoint 2013, People picker also has changed! In its previous versions, SharePoint 2010 and SharePoint 2007, people picker is associated with an address book and check name icons, which are missing in SharePoint 2013! While its still identical in some places of SharePoint 2013 (E.g. Setting up groups for the site: /_layouts/15/permsetup.aspx), These icons are missing in all other places. 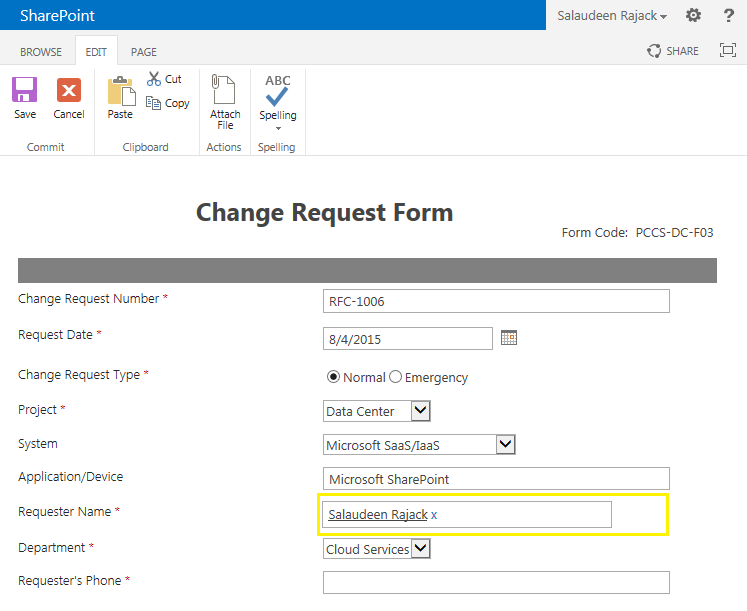 E.g In SharePoint list forms, Grant Permission pages, etc. But in SharePoint 2013 these places provides "Auto complete" feature in people picker to help us picking users. How can I show browse buttons in SharePoint 2013 People Picker? Not very sure why Microsoft removed these nifty icons. Anyway, If you need the "Browse Icon" back in SharePoint list form people picker fields, simply create new custom list form using SharePoint designer, which brings browse button in people picker by default! You can go into the list in SharePoint Designer. Click on forms and create new NewForm and EditForm. the people picker will them show. Thank you for your time and for sharing this information. Are you aware of any other way of accomplishing this without the use of SharePoint Designer? It is blocked in our organization. How to Rename ID Column in SharePoint List? Design Manager Missing in SharePoint 2013?